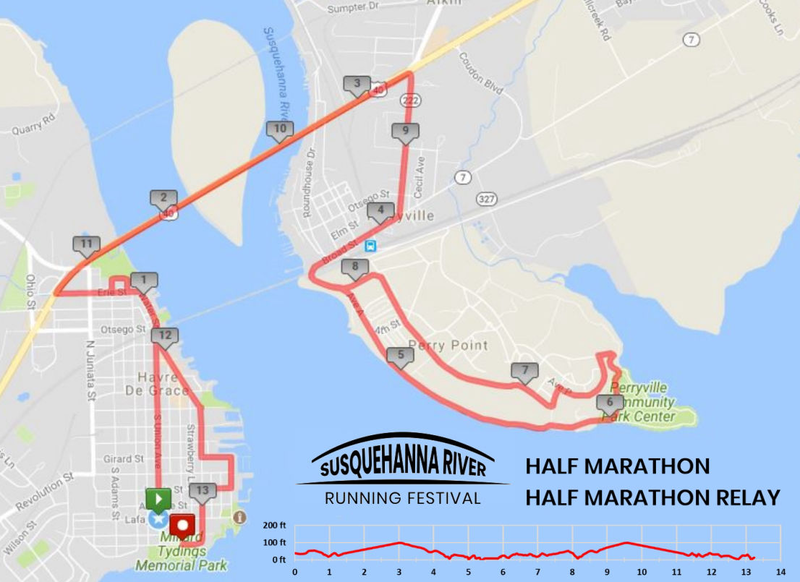 The Susquehanna River Running Festival is a major running event to be held on Saturday, September 15, 2018. It will consist of a half marathon, 2-person half marathon relay and a 5K. The half marathon and relay will start in historic city of Havre De Grace, Maryland, cross the mile long Hatem Bridge over the mouth of the Susquehanna River, travel through another historic town, Perryville, MD, across Perry Point VA Hospital along the northern shore of the Chesapeake Bay providing bucolic views, loop through Perryville Community Park (relay exchange zone) and then return to Havre De Grace with a second crossing of the bridge, and finishing near Tydings Park. The 5K will start with the first mile the same as the half marathon. 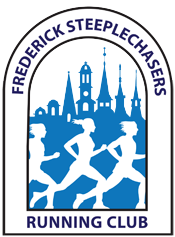 The course will make a turn taking runners through historic Havre De Grace and finishing at Tydings Park. Both courses are relatively flat providing the opportunity for runners to clock some fast times. Timing and course management by Charm City Run. There will be an after-party with a complimentary beer, shuttle bus service to and from either Ripken Stadium or Hollywood Casino, and secure bag drop handled by UPS. Visit our website for more details. susquehannarunfest.org or see us on Facebook at Susquehanna River Running Festival.